These two articles are reprinted from the Great Backyard Bird Count (GBBC) newsletter dated 1/10/18. Visit BirdYourWorld.org to take the Year of the Bird pledge and discover simple but meaningful steps that anyone can take to help birds each month–steps that include participating in the Great Backyard Bird Count! … perhaps this is the year to invite a non-birding friend or relative to count with you and open their eyes to the beauty of birds. 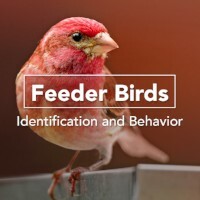 The Cornell Lab’s Bird Academy has created a new online course, Feeder Birds: Identification and Behavior. Build your confidence with easily confused species and learn about the dominance hierarchy at your feeder. For U.S. residents, the course includes participation in Project FeederWatch. If you haven’t signed up for Project FeederWatch yet, you can sign up for the course and automatically be registered for FeederWatch. If you are already registered for Project FeederWatch, signing up for the course will extend your FeederWatch registration through the 2018-19 season.